Once or twice a season, my family and I go fruit picking at an orchard near our house. They grow blueberries, strawberries, raspberries, cherries and peaches. Last week, cherries were in full bloom. 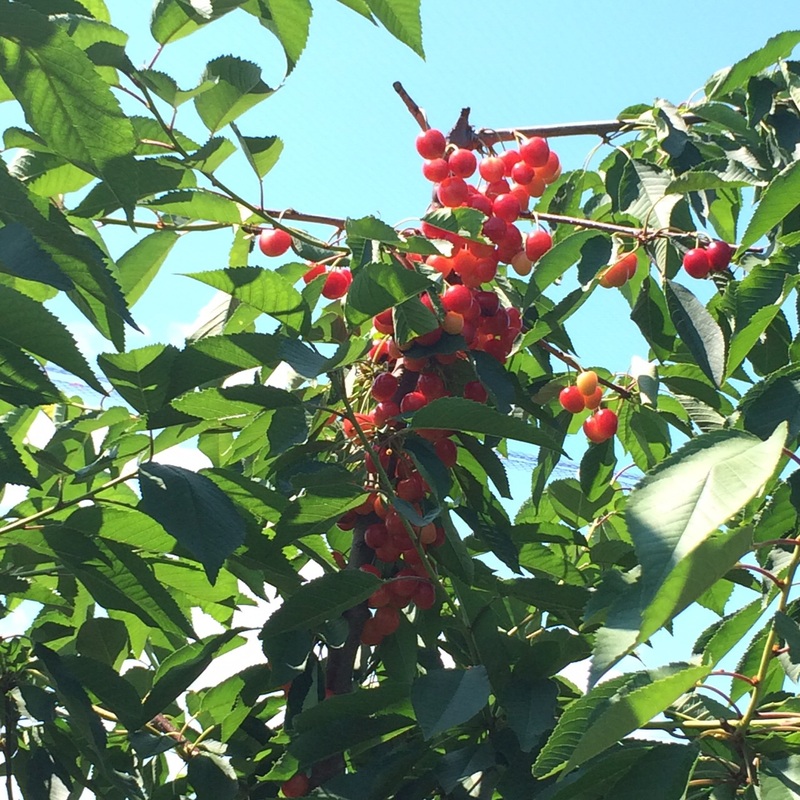 The orchards were full of trees laden with wonderful cherries. It was absolutely amazing how beautiful they looked. 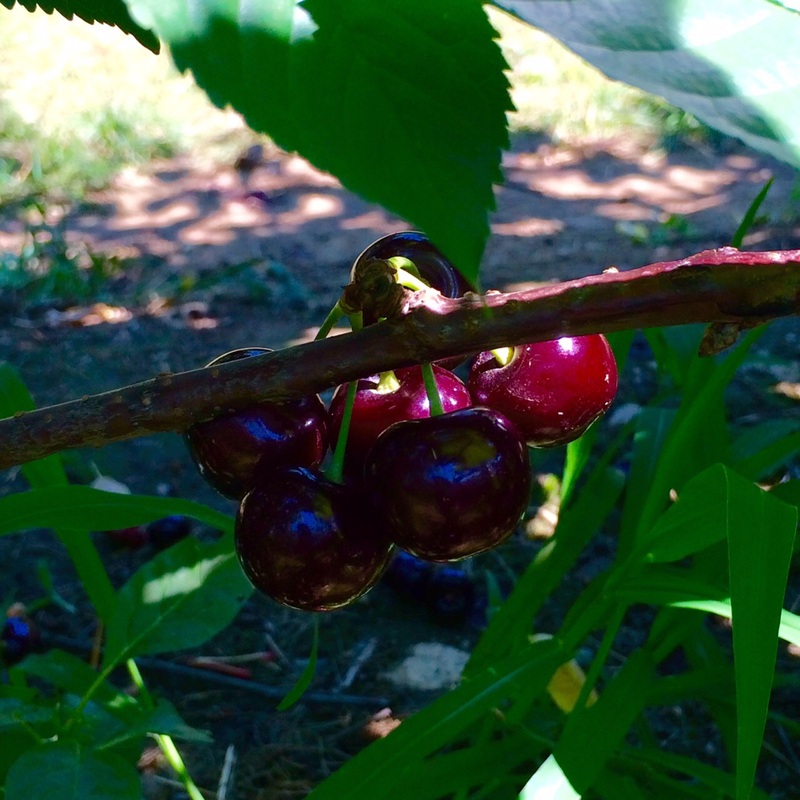 As usual, we got our instructions on the correct way of picking the cherries, and off we went! 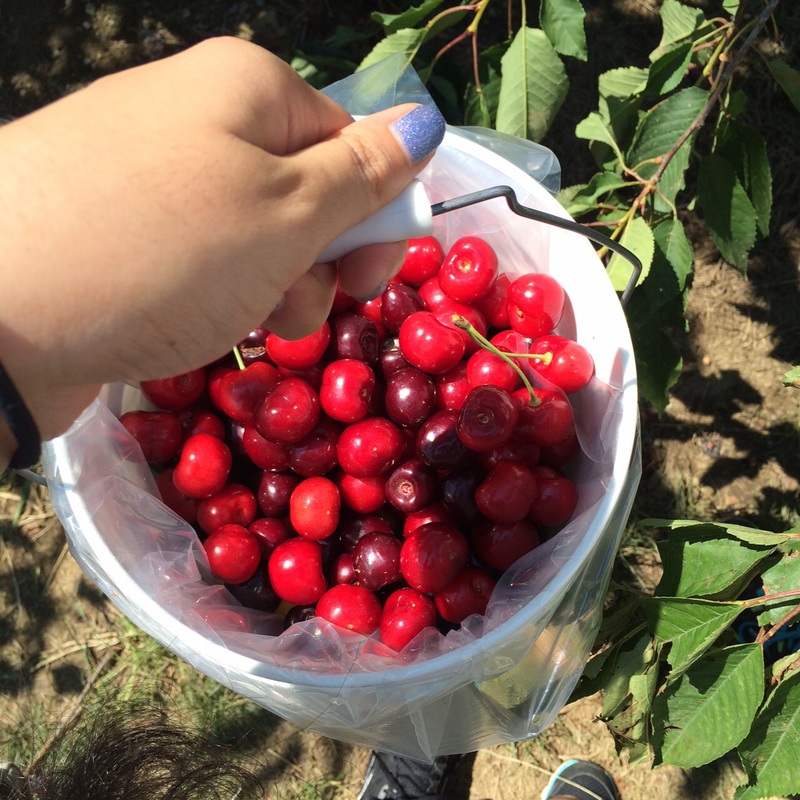 I was so enthralled by the cherries that I think that initially, I was definitely eating more cherries than I was picking 🙂 But eventually I got full, and I found myself filling bucket after bucket with juicy, ripe cherries. By the end of the day, ended up with almost 10-12 lbs! We were all tired, but felt accomplished. But then it hit me – what are we actually going to do with all these cherries? Just the thought of pitting them was enough to dampen my spirits. 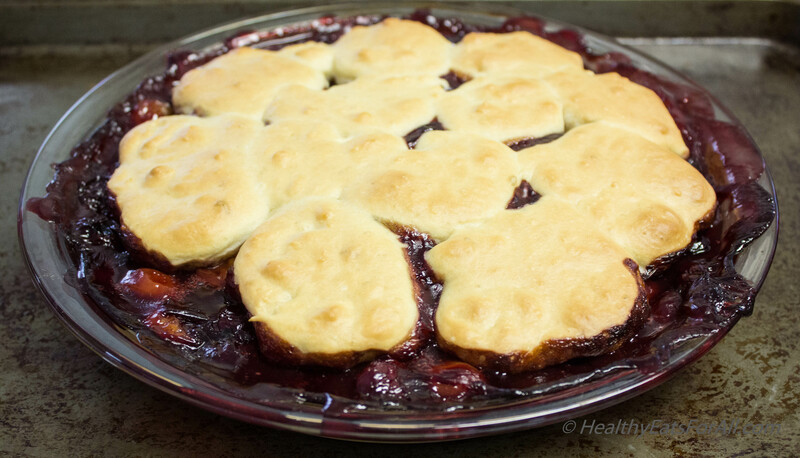 Thankfully, the creativity gene kicked in and I decided to use them to make Cherry Cobbler: the quintessential dessert made with summer’s bounty. You can have it ala-mode or with vanilla ice cream. It takes only half an hour to prep and another half hour to bake, and is very simple yet surprisingly healthy. I found it to be a a very flexible and forgiving dessert – meaning, you can’t go wrong 🙂 You can also use any combination of mixed berries or cherries or peaches to make it more interesting. The fruit can also be frozen or fresh, so it can be made year around. I prefer to use less sugar but if you feel that this is not sweet enough, feel free to add another 1/8 cup (or more) of sugar. Similarly, if you need to tweak the milk or flour amounts, it won’t make a huge difference. For those of you who are vegan, there is another version that I make with some key substitutions of the ingredients. Instead of the regular flour, use almond meal or a mix of almond meal and coconut flour. 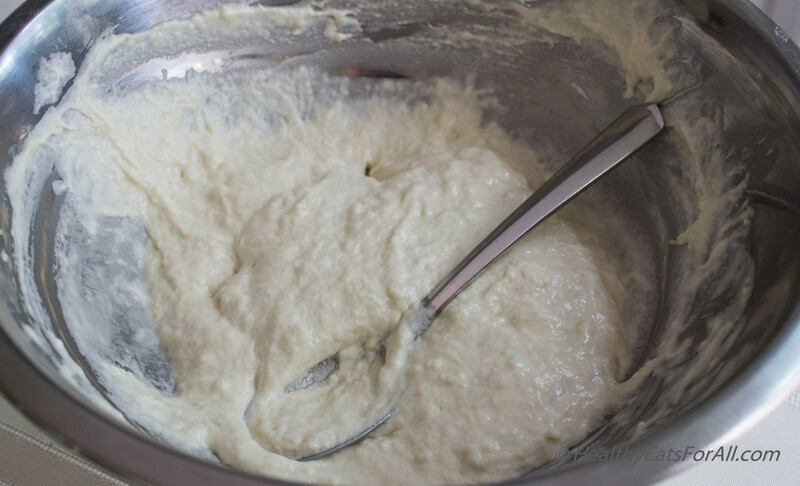 As a result, the only difference will be that the batter won’t rise and won’t be as puffy as regular flour will be. Then, instead of the regular milk, use coconut milk. 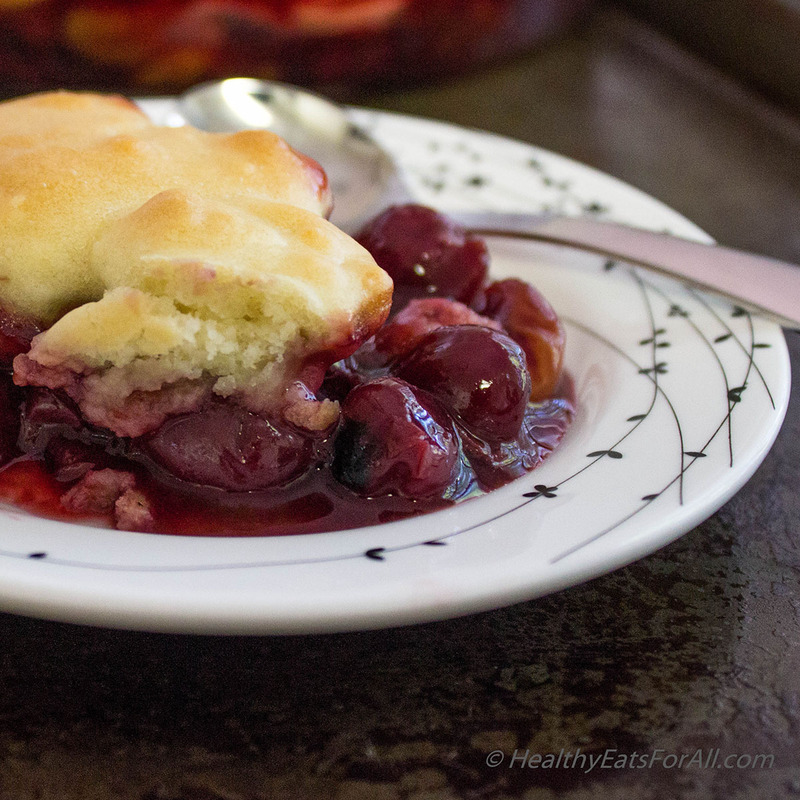 With these simple swaps, you can have a healthy and delicious vegan cherry cobbler! The batter is literally spooned on top of the cherries like cobbled stones. Very rough – nothing fancy at all. But you won’t know it once you are eating it! This is a great dessert that makes use of the natural sugars found in fresh fruit. All the delicate flavors of the cherries come through with the pastry, which soaks up some of the juices making it oh so delicious! 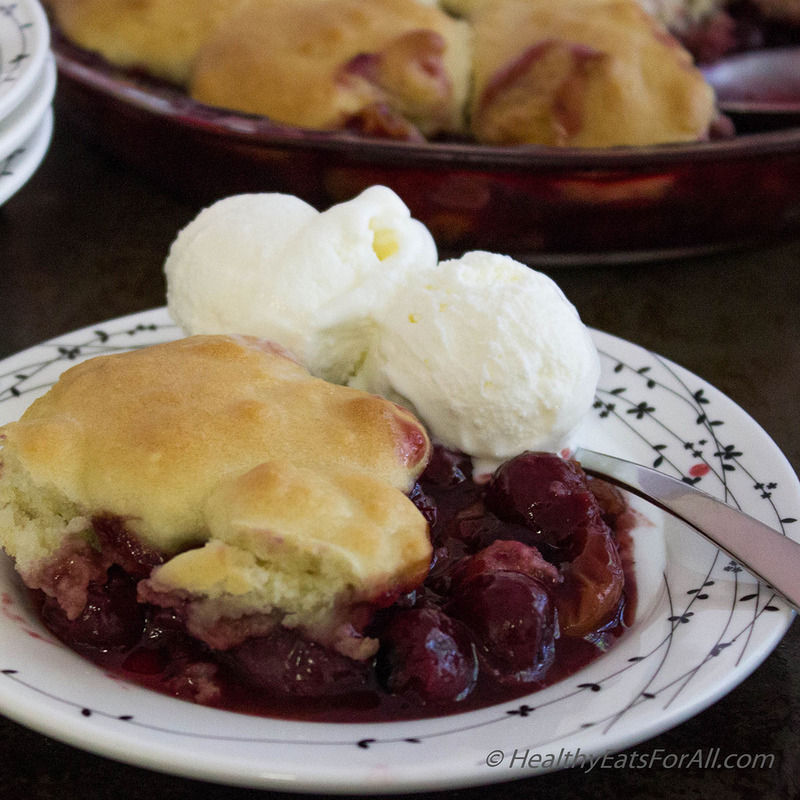 The warm, slightly tart cobbler with the sweet cold ice cream makes it one of the most popular desserts in our house. Enjoy! 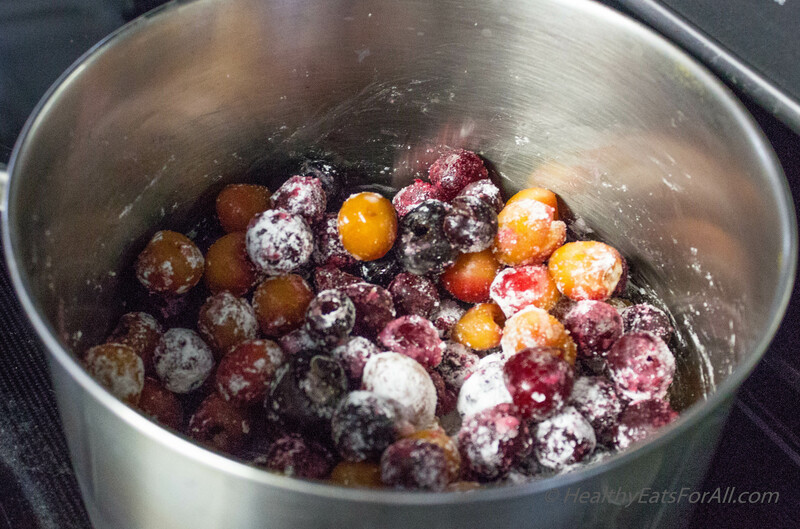 In a deep pan add the cherries, sugar and cornstarch. 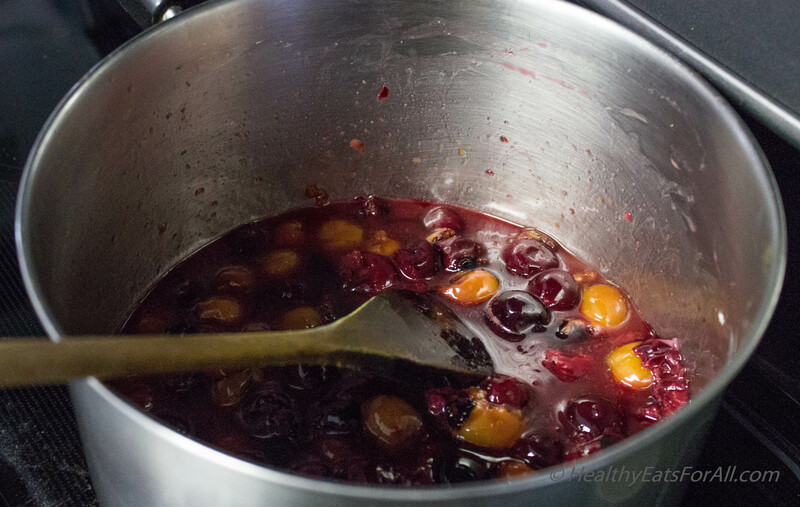 Cook over medium heat till the cherries release their juices and the mixture is slightly thick for about 15-20 min. 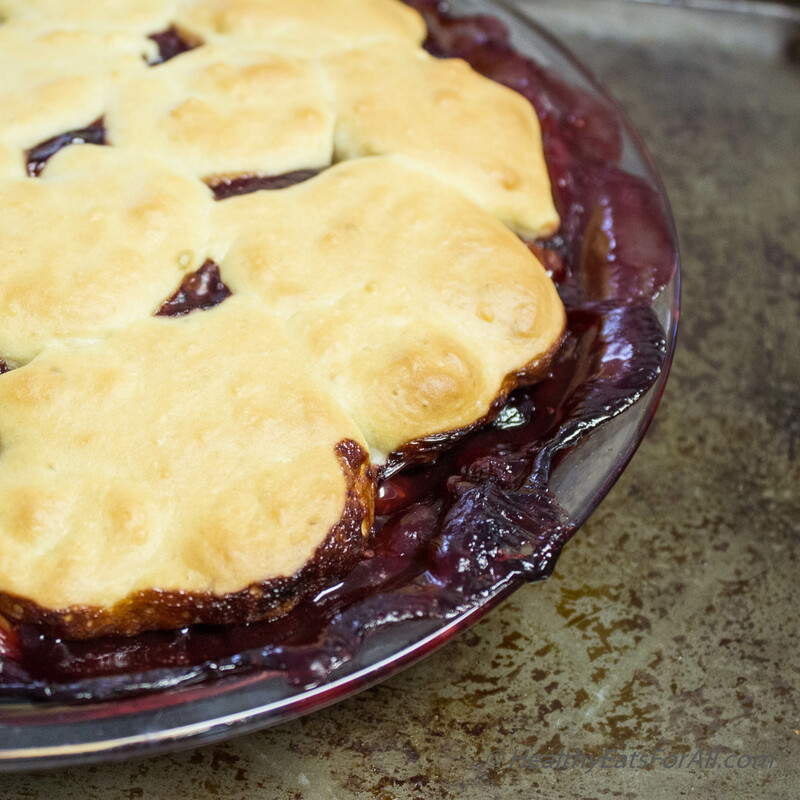 Pour it into a deep pie dish or rectangular casserole dish and set it aside for cooling. 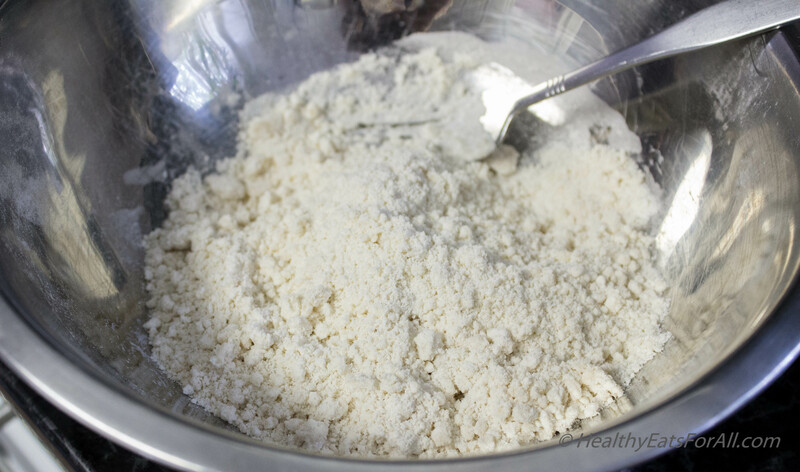 In a separate bowl put the flour, baking powder, salt and oil. Mix with a fork till it is crumbly. Add the milk and mix so it is kind of a thick batter. Drop by spoonful’s on top of the fruit mix like cobbled stones. 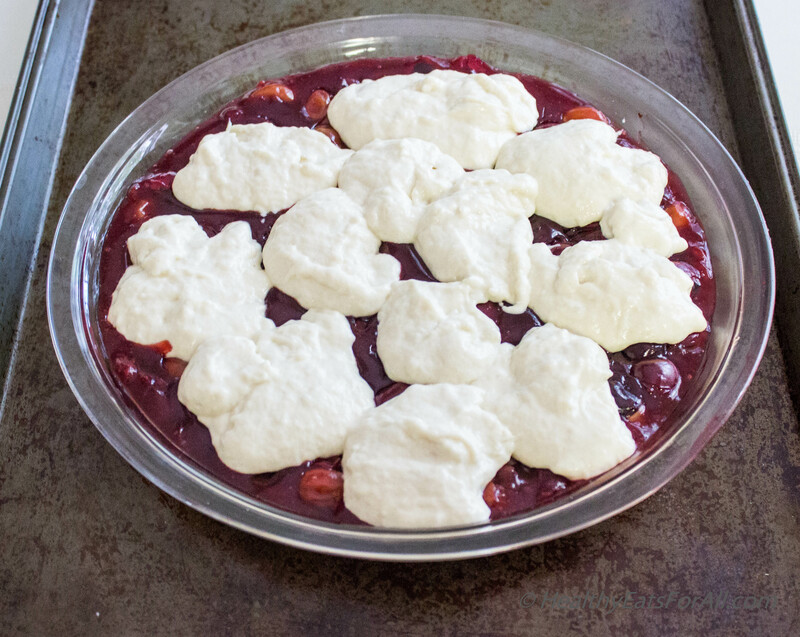 Bake in the oven for about 25-30 minutes till cherry mix is bubbling and the crust on top has risen and is turning golden brown (keep a cookie tray underneath the pie dish to catch any overflowing cherry mix). Take it out and serve warm with cold vanilla ice cream or as it is. Enjoy! All the steps will be same as above except the amount of time this needs to cook. 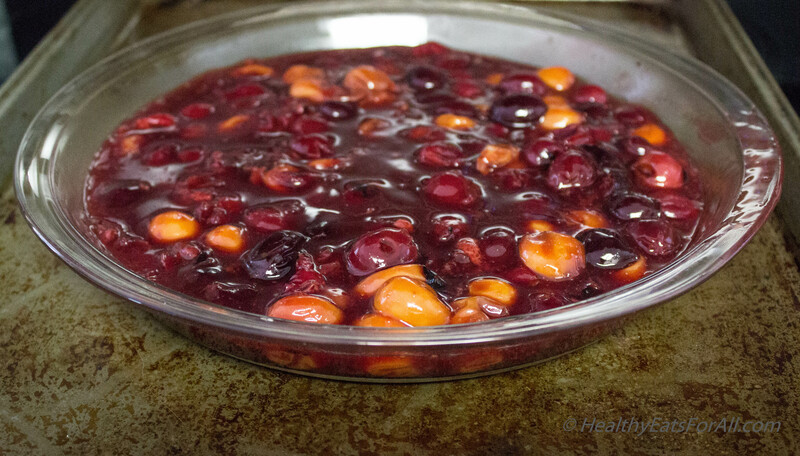 Bake in the oven covered with aluminum foil for about 40 minutes and uncovered for another 5-10 minutes till cherry mix is bubbling (keep a cookie tray underneath the pie dish to catch any overflowing cherry mix).